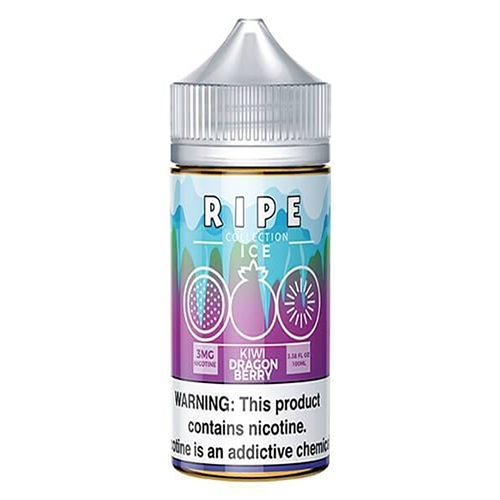 Ripe Collection Ice Kiwi Dragon Berry by Vape 100 is an invigorating combination of tangy Kiwi, bold Dragonfruit and sweet Blueberry with a refreshing menthol chill. This enticing e-liquid produces dense and fruity vapor clouds that hit all the right flavor notes in a perfectly balanced trifecta of flavor. Enjoy delectable dense vapor clouds that just get cooler and fruitier every time you vape. Enjoy this delicious gourmet premium E-Liquid today!